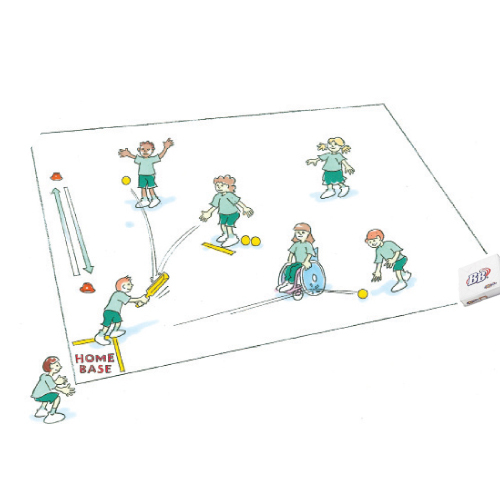 Blast ball is a modified game of softball that builds on striking and fielding skills and encourages teamwork and thoughtful placement of the ball. It provides a good introduction to softball. The fielding team take their positions in the field. The batter hits a ball off a tee into the field and attempts to reach the blast base before 1st base receives the ball. The ideal number of players per team is 5-6. This keeps the game moving quickly and makes the players more active. Can you show me what type of throw you would use to get the ball in faster?